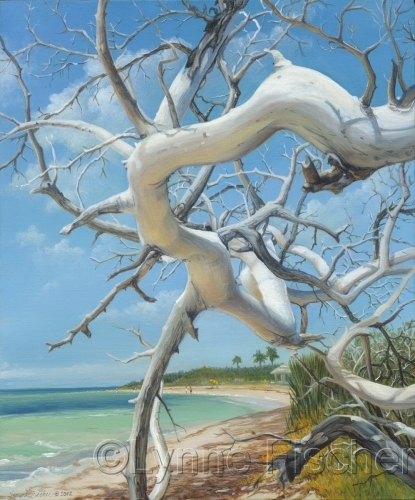 Beautiful buttonwood driftwood tree at Bahia Honda State Park in the Florida Keys. 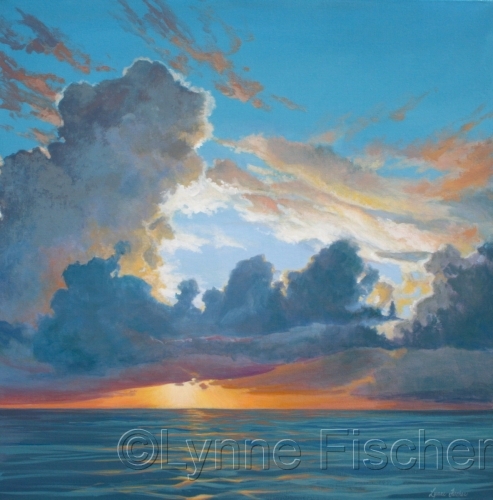 A lovely beach day inspired this acrylic painting. 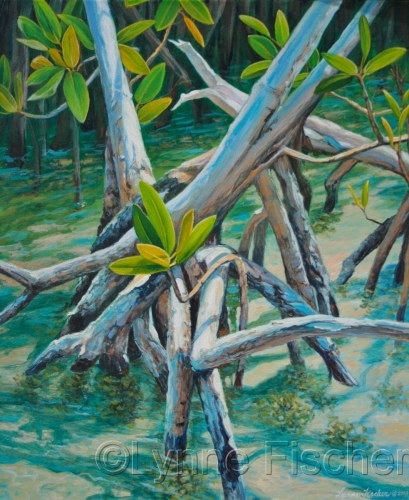 Acrylic painting of a red mangrove in the Florida Keys back country. 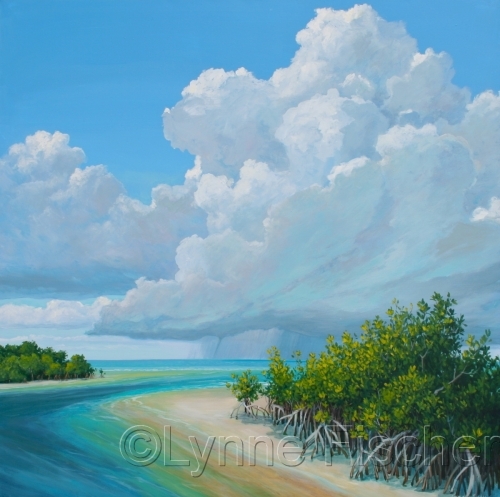 Distant showers in the Florida Keys produce a waterspout. 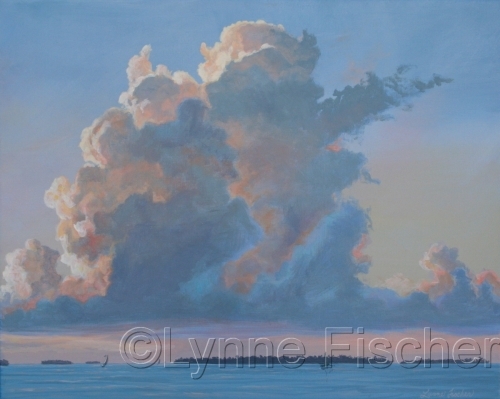 The sun is still shining in this acrylic painting in the island flats. 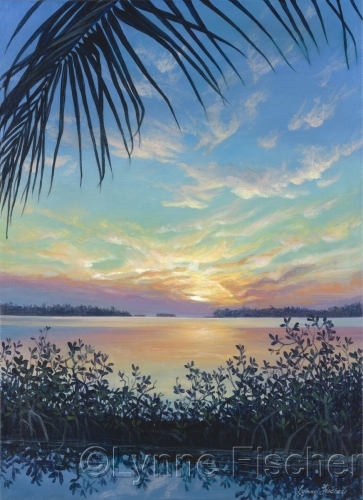 Acrylic painting of a glowing Key West Harbor sunset. 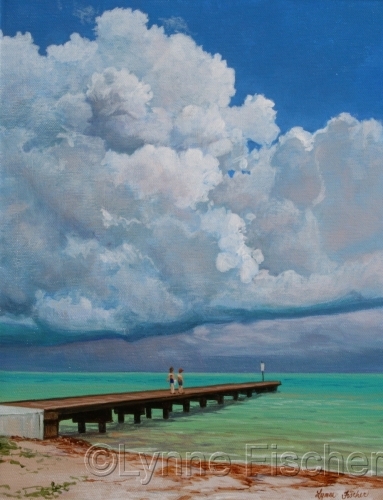 An acrylic painting of the ocean and sky in Key West at Higgs Beach Pier. 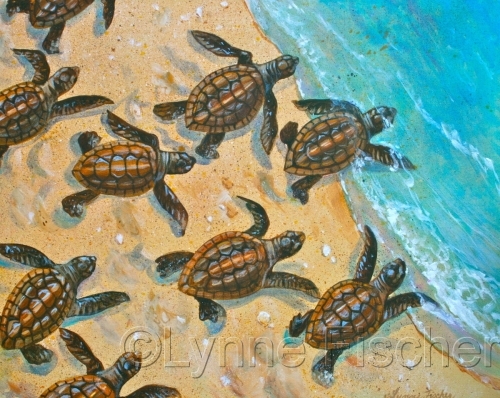 An acrylic painting of baby sea turtles rushing to the shore. 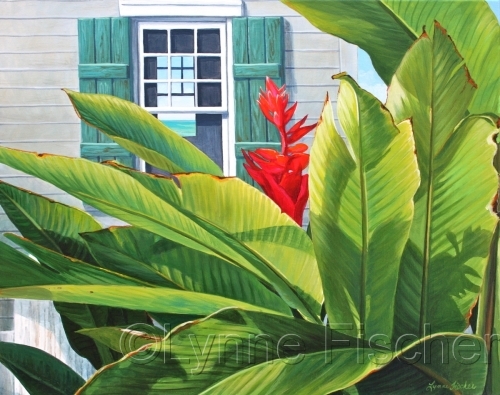 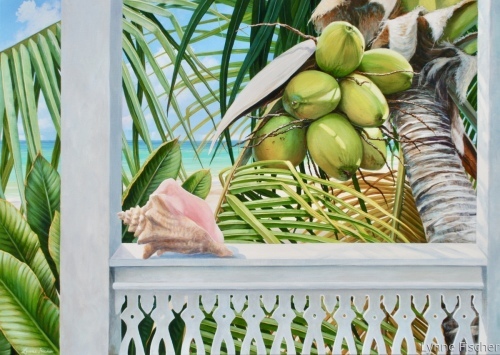 An acrylic painting of a tropical ocean view from a Florida Key West porch.